Antara pelajar SKM yang telah bergraduat! 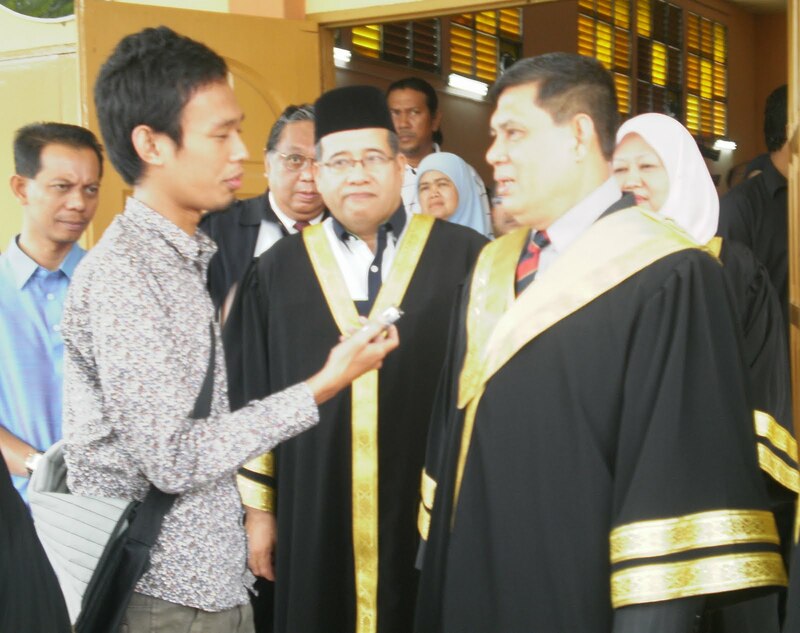 KPPM being interviewed by a reporter. Salam and greetings to all. It had been quite hectic for me for the past two weeks. I was involved in two graduations, one for the form 5 students of my school and the other one was for the SKM students of the central zone. One was held in Institut Latihan KWSP(Esset) Bangi and the other one was in my school. Last week was the Majlis Graduasi SKM SMT/SMV Zon Tengah. At the same time in my school was a school day! Hari ganti persekolahan for hari raya puasa that we had taken earlier. 'Cuti dulu, ganti kemudian'! So, there were two things that were on at the same time! As I had classes that day, I was not able to be in the hall throughout the event. But, I managed to be there, after the graduation was over! Today is the last day of school for this week! I'll be enjoying the Deepavali holidays as I really need a break! But still, 3 bundles of the Form 4 scripts waiting to be marked!